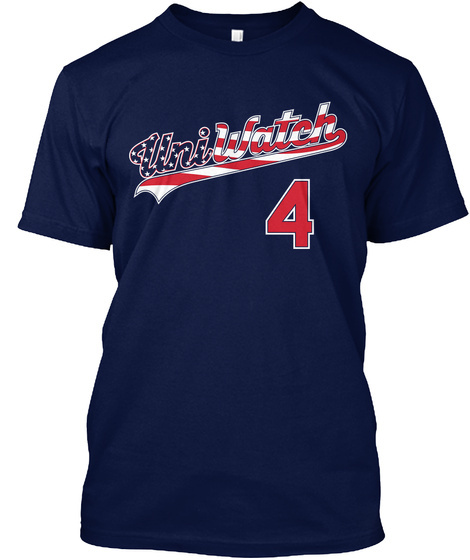 Show that you Get It™ with the Uni Watch stars and stripes T-shirt. 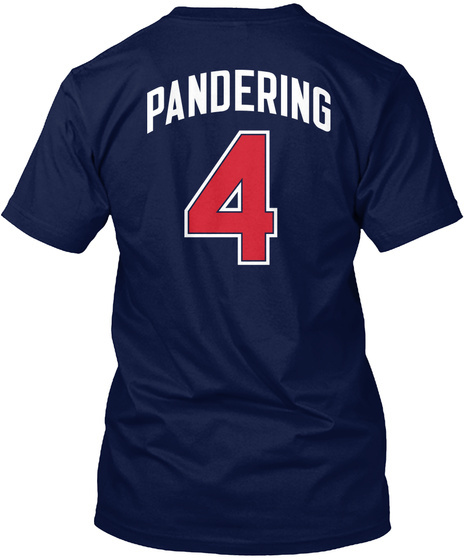 The "Pandering" NOB makes it clear what you think of "patriotic" uniform designs. Available in various shades of blue.